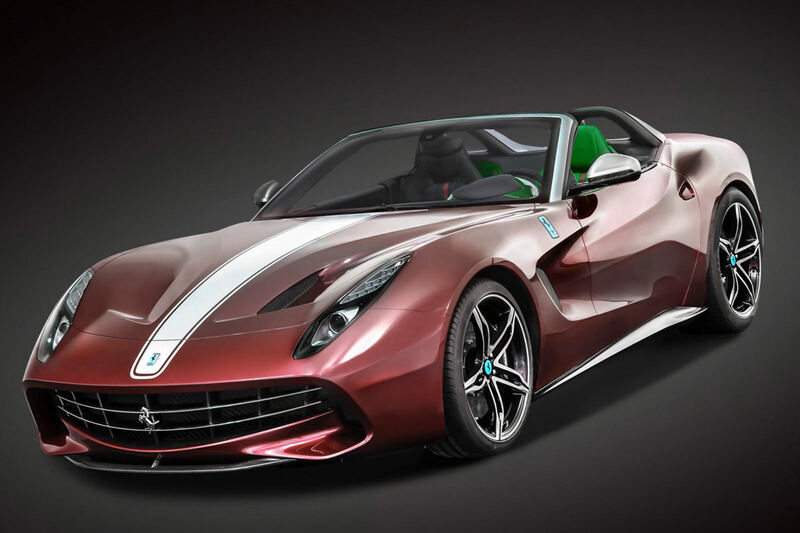 At the Paris auto show, which took place just recently, Ferrari presented its very new model –the Ferrari F60 America in honor of the 60-year celebration of the Prancing Horse. The novelty is built on the F12 Berlinetta. It is planned to be limited edition in only ten models, which costs about 3.2 million dollars as well. The F60 America is equipped with the 6.3-liter V12 engine, which produces the output of 729 horsepower and the torque of 508 lb-ft. Owing to that powertrain, the car is able to accelerate from 0 mph to 60 mph in 3.1 seconds. The car has the seven-speed dual-clutch gearbox and rear-wheel drive. The car does not have the roof mechanism; there is a special fabric top, which is quite safe at the speed of 75 mph. Both exterior and interior include the character and style of Ferrari.